Telling your unedited story to build courage, intimacy, compassion and strength in your work and personal relationships. Finding the Common Denominator in the room and using that as a foundation for relationships. Assessing strengths and weaknesses to build the right teams. Finding the unique voice within each of your team members - Seeking individual strengths tied to personal and professional history. Inspiring growth, development and fresh perspectives in organizations. Kara DioGuardi is a Grammy nominated songwriter, former American Idol judge, producer and music publisher. She was included in Mirabella Magazine's “Phenomenal Women 2018 Issue.” For the past five years, she has been a Herb Albert Visiting Scholar at Berklee College of Music. 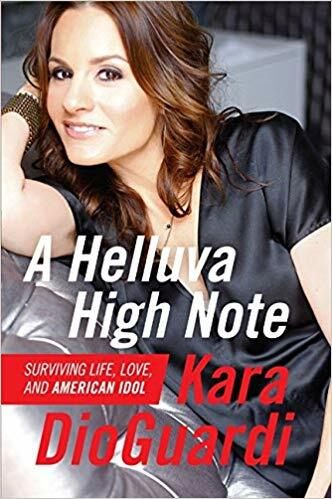 As one of the most successful contemporary songwriters in the world, Kara’s songs have appeared on more than 160 million albums. She has won 20 BMI awards for most performed songs, including BMI’s 2007 Songwriter of the Year award. She’s had over 320 songs released by major labels, 150 songs on platinum selling albums, and over 50 charting singles. Her credits include successes and collaborations with artists such as P!nk, Katy Perry, Celine Dion, Kelly Clarkson, Britney Spears, Christina Aguilera, Miley Cyrus, Jason Derulo, Demi Lovato, Gwen Stefani, Carrie Underwood, Colbie Caillat, Enrique Iglesias, Rascal Flatts, The Band Perry, Darius Rucker, Faith Hill, Santana and many more.